A friend of mine—a prostate cancer survivor and proton patient I’ll refer to as Hank—called me to discuss some comments he was about to post on a cancer forum. 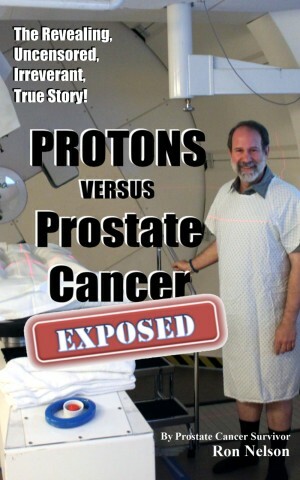 His premise was that although proton therapy for prostate cancer has many potential advantages over radical surgery, there may be one overlooked disadvantage he thought he should perhaps share on the forum. For the moment, I’ll let you ponder what the alleged drawback might be. I suspect other men in our prostate/proton alumni shoes have had similar thoughts to his. This is admittedly not an entirely new topic, but a subtly different twist on a familiar one. Before I divulge more about Hank’s theory, we should briefly review the path that brought us here, for those who might not know. If you do, you can skip the next section with impunity. Rarely is the option of proton beam therapy (PBT) handed to us on a silver platter. Surgery, brachytherapy, conventional radiotherapy, and other options are commonly offered as treatments worth pursuing. Sadly, it usually requires a patient’s own proactive independent research to discover the option of proton. 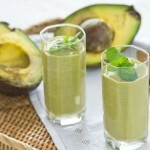 I and many readers of this blog took that initiative. One way or another, we discovered non-invasive, painless, precise proton therapy and learned about its unique characteristics resulting from the Bragg Peak. Then we addressed the same inevitable, invariable questions we applied to all other alternatives: Will it cure my cancer? What is the likelihood of unpleasant side effects? Is it available to me, and can I afford it? Cost and convenience aside (both improving in recent years), those of us who chose proton therapy for prostate cancer strongly believed it gave us the best chance to cure our cancer with no adverse side effects. We wanted to live a long, normal life, and were willing to fight for whichever treatment offered the most promise for achieving our goal. While we certainly understood that any therapy, including PBT, could fail or cause side effects, we believed—as most of us still do—that proton therapy was more likely than alternatives to leave us cancer-free without incontinence, urinary urgency, bowel urgency, or erectile dysfunction. But we didn’t consider whether it would leave us worry-free. For some men with prostate cancer, there is a visceral need to “get it out,” and surgery is the only way to satisfy their need. In addition, they may have heard surgery confidently referred to as the “gold standard” for curing prostate cancer. Whether accurate or not, who are we to say whether in their case, surgery wasn’t actually their best bet? They may have any number of other reasons for their choice to go under the knife. But it doesn’t really matter. At the end of the day, every choice is highly personal, and none of us should feel the need to justify our choice of treatment to anyone but ourselves. We must live with the choice we made. Regardless of how we proton patients may feel about surgery, we wish those who chose it no less than a complete cure with no side effects, and I’m sure this feeling is reciprocated. We are all in the same boat. They, like us, are seeking a return to their normal life. They, like us, chose what they believed to be the best path to achieve it. And they, like us, didn’t consider whether it would leave them worry-free. After completing our treatment, we are not done. Whether we had surgery or proton therapy, we must watch our PSA—possibly forever—for the same two reasons. We know there was some chance the treatment might have failed to “get it all.” We are also aware it can return if just a few undetected prostate cancer cells were hiding anywhere in our body—even beyond the prostate. 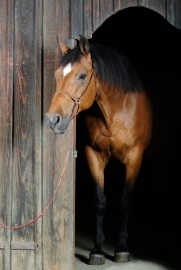 As my ever-clever oncologist describes it, we can’t always know before therapy whether the horse may have already left the barn. This is our reality, regardless of which treatment we chose. 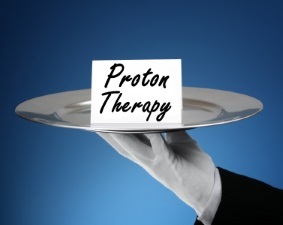 Not surprisingly, after treatment some proton patients worry. Some surgery patients do, too. We have all learned and have become hyper-aware that cancer can happen, even to us. We know if it happened once, it can happen again. We know there can be a new cancer, or a recurrence of the old one. With this awareness, can any of us ever return to our worry-free lives? Who wins the worry war? The return of PSA is a possibility that strikes terror in the heart of every radical prostatectomy patient; in fact, for many men, the dreaded follow-up PSA tests after surgery are almost worse than having the operation itself. What will you do if your PSA is no longer undetectable? Would a similar assertion apply to proton patients? We who chose proton cannot expect zero. Instead, we eventually reach a nadir—our lowest PSA level—close to, but greater than zero. We’ll still have a measurable PSA because with radiation, some healthy prostate tissue capable of producing PSA may survive the treatment. We’ve been forewarned that our PSA might even jump around a bit. Maybe a lot. We know some increases are probably fine, and could be caused by a urinary infection, prostatitis, an agitated prostate, healthy prostate tissue, or various reasons other than cancer. We also know larger and/or consecutive increases could mean trouble. Does this possibility “strike terror in the heart” of every proton patient? Surgery. Proton. For both, our post-treatment PSA is important. We watch it to make sure we’re still okay. And because of its serious nature, we might worry about it. But Hank wonders who worries more? Surgery survivors, or proton alumni? Surgery patients have the post-treatment luxury of not needing to worry as much as proton patients. After all, Hank said, their prostate is gone and their PSA doesn’t bounce around. Their PSA tests, he said, are generally routine, unremarkable line items in their lab reports. Although we proton patients know our PSA will not be zero and can jump around, even a tiny upward PSA movement can ignite a fear of failure or recurrence. 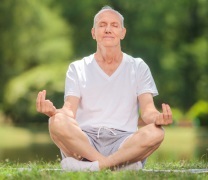 We find ourselves facing a lifetime of anxiety surgery patients avoid, Hank postulated. The PSA level remains a concern for all prostate cancer survivors, regardless of treatment modality. For the reasons stated above, this distinction seems unlikely. The PSA level remains a concern for all prostate cancer survivors, regardless of treatment modality. At least in part, I suspect Hank’s hypothesis might have been a way of expressing his understandable envy of a stable PSA of zero, which is arguably a simpler state of affairs than his. But my guess is, if Hank had chosen surgery—or any alternative—instead of proton, he would still worry about every PSA test as much as he does now. We’ll never know. I suspect the classic bell curve applies to our propensity to worry, more than to the treatment modality. I know of no formal comparative study of this, so it is an educated guess. It seems likely that at one end of the bell curve we’ll find a relatively small group of men capable of nearly complete compartmentalization of PSA worries. They may feel a little anxious just prior to each test, but between tests they rarely give it a passing thought. At the other end of the curve are the men who worry daily, and sometimes work themselves into an emotional frenzy as each test approaches. Each extreme is a minority. Most of us are in the middle hump of the curve. We have some level of constant awareness and concern, but manage it well enough and live a largely normal life. However, Hank might find himself closer to the worrisome end of the bell curve. Hank is a worrier, and he would not be doing less of it had he chosen surgery instead of proton. He would be just as anxious about every PSA test. Hank’s hypothesis might have seemed reasonable at first, but after discussing it with him, he ultimately agreed it is not. 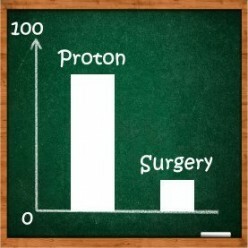 It is not only flawed, but also unfair to both surgery and proton patients. Surgery patients are by no means exempt from post-treatment PSA anxiety, and proton patients are no more likely to be anxious. A quick perusal of the many online prostate cancer patient forums will corroborate this view. Surgery, proton, or whatever—we all watch our PSA for the reasons stated above. Read the forums and you’ll find an abundance of commiseration, concern, compassion, and relief about PSA levels from any prostate cancer survivor treated in any manner. There are no dividing lines relating to treatment modality. I’d like to thank Hank for inspiring me to think about this. It won’t make me worry more or less than I do now, but it will remove any suspicion that surgery would have resulted in a more worry-free existence for me. I’m somewhere just left of the middle of the bell curve, and there I shall remain. Should you be more worried? Should you worry less? 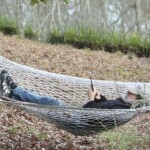 If you are a worrier like Hank, you’ll worry. If not, you probably won’t. Neither cancer nor how we treat it changes this personality trait. We are who we are. 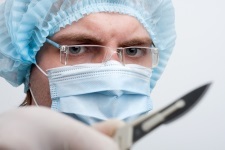 Do you think surgery patients worry less than we do? 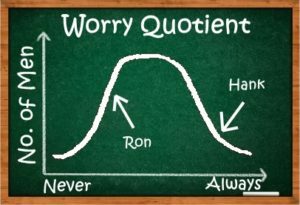 Where are you on the bell curve of worry?